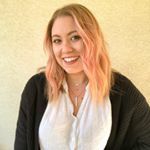 I am a Lifestyle Blogger with a passion for all things Disney, relationships, fashion, and beauty! I love curating images that are beautiful and visually appealing. I want my account to not only market for brands that I love, but also to create a community of people that can inspire people in all seasons of life!